Have you ever poked around your family tree and run across a line of people with Swedish names such as Lars Andersson, Karen Svensdotter, Britta Johansdotter, and Per Lindström? Were you confused when the family surname changed a lot? Why didn’t Nils Hansson and his father Hans Eriksson share a surname? Something must be wrong! Right? In fact, what is going on here is a classic case of patronymics (except in the case of Mr. Lindström). A patronymic name is one that is created when a prefix or suffix is attached to the father’s name. For example, the patronymic name Hansson can be broken into two parts: Hans and son. This patronymic means that someone with the surname Hansson was the son of Hans. Understanding this basic concept–and some related pointers outlined below–will go a long way in sorting out and solving your Swedish genealogy problems. Need a hand finding your Swedish ancestors? or search for their names in Swedish records. Throughout history, cultures have used different naming practices to distinguish one person from another. In Europe, the practice of attaching a surname to a given name began to be standard toward the end of the Middle Ages. Many surnames were descriptive in one form or another. They were often derived from an occupation (for example, Baker, Smith, or Miller), a nearby location (such as Hill, Wood, or Hamilton), or a characteristic (for example, Brown, Strong, or Young). Another method of creating a last name was using the father’s first name and attaching a prefix or suffix that denoted the relationship. William the son of John became William Johnson. This is the patronymic system described above, which became the norm in Sweden and other Nordic countries. So now we understand that Swedish names such as Andersson, Hansson, and Olofsson came from the father’s name plus “son,” but what about Johansdotter, Svensdotter, and Andersdotter? That’s easy—“dotter” simply indicated that the person was the daughter of Johan, Sven, Anders, or whatever the case may be. Because of this pattern, male and female siblings would have had similar but different surnames. That is, if Per Andersson had a son and a daughter, their last names would have been Persson and Persdotter, respectively. In English-speaking countries, a family may have adopted a patronymic surname (such as Johnson) that stuck throughout the generations, but in Sweden (and other Nordic countries) the patronymic name most often changed with every generation. For example, Hans Persson was the son of Per Andersson and Per was the son of Anders Johansson. Another important naming convention in Sweden was that a woman did not adopt her husband’s surname upon marriage but kept her own patronymic birth name. So, if Karen Persdotter married Hans Andersson, she did not become Karen Andersson, but remained Karen Persdotter throughout her life. When children were born out of wedlock in Sweden, the naming convention was less clear. They may eventually have adopted a patronymic name based on their biological father’s given name, but the child could also have adopted the mother’s patronymic name. For instance, if Lars was born out of wedlock to Stina Andersdotter, then Lars could have been known as Lars Andersson. In rare instances, the child may have used a matronymic name (that is, Lars’s surname could have been Stinasson). As mentioned above, surnames were not always patronymic. They could have described the individual in another way, such as by an occupation, a personal characteristic, or a location. In Sweden, members of the clergy or nobility would sometimes adopt nonpatronymic surnames. By the beginning of the 17th century, this practice had become so common that clergy and nobility generally stopped using patronymic names. Soldiers were another group who adopted nonpatronymic names, at least during their military service. This practice was key to differentiating between men who bore the same name. Some examples of these nonpatronymic names are Rask, Dahl, Åberg, and Lindström. A soldier may have kept the nonpatronymic surname throughout his life or may have dropped it when he left the military. In some instances, children may have used the father’s soldier surname but in most cases, they used the patronymic system. As society changed in the mid- to late 19th century with increased industrialization, migration into cities, and emigration, the conventions surrounding Swedish surname usage also changed. 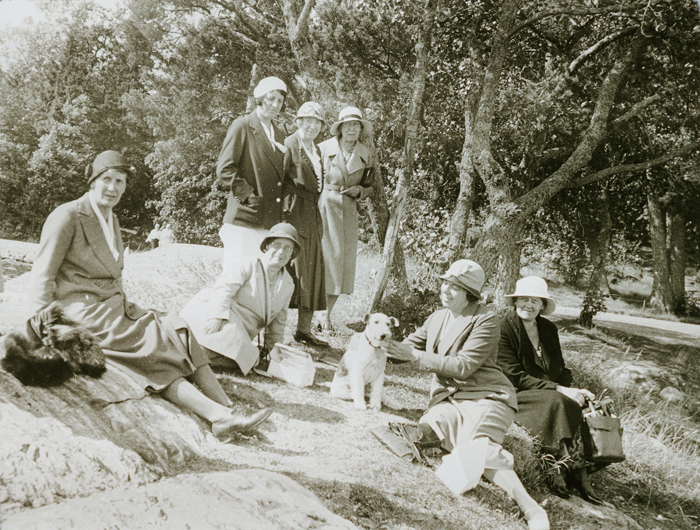 Women began using the -son suffix rather than the -dotter suffix. Sometimes a woman may have taken her husband’s patronymic surname upon marriage. A person or family may have chosen to freeze the father’s patronymic surname and carry it forward through multiple generations. Siblings may have chosen different surnames. As Swedes migrated to foreign countries, they frequently modified their surnames to be more closely aligned with the language of the new culture. That surnames could change so much serves as a reminder that when researching, it is vital to rely upon multiple details—relationships, residences, occupations, vital dates, and so on—to uniquely identify an ancestor. One last note! It is important to remember that although we often think that spelling is set in stone, it was not always so in the past. Clerks often spelled Swedish names phonetically or how they thought the names should be spelled. Similarly, some given names (and therefore patronymic surnames) were interchangeable. For example, the name Peter could have been spelled Petter, Peder, Petrus, Pelle, Per, Pehr, Pär, Päder, or Pähr. In other words, Hans Petersson may have been the same man as Hans Pehrsson, Hans Pederson, Hans Pärsson, and so on. Don’t let spelling variations be a roadblock! To find common variations of your ancestor’s name, try visiting the Sweden Names page in the FamilySearch wiki or looking up Swedish names on sites such as NordicNames.de. 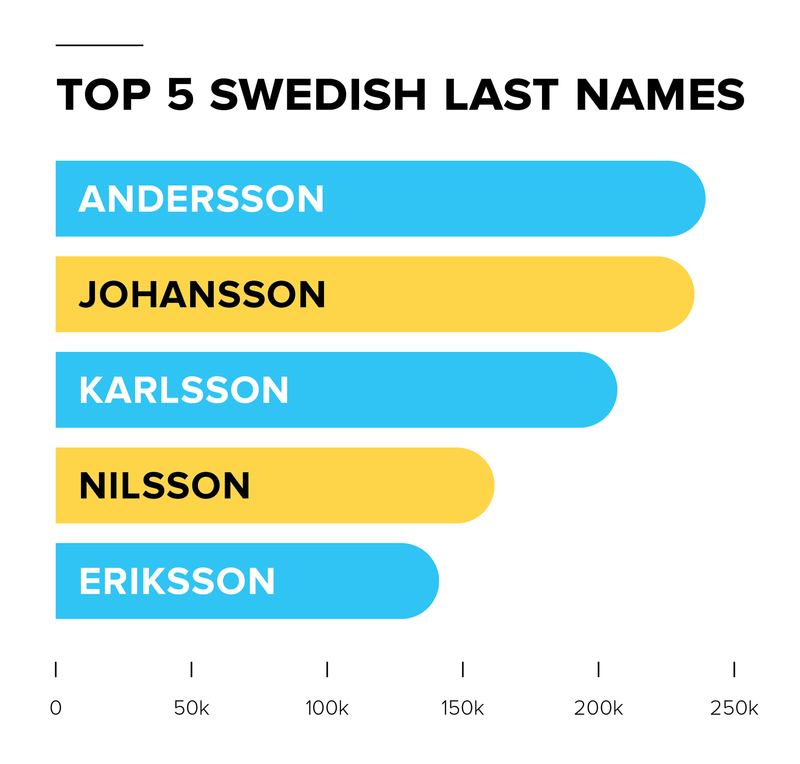 You can use this knowledge of Swedish surnames to better understand your Swedish family lines. Knowing the ins and outs of Swedish naming practices, you can also be much more successful in discovering your ancestors in Sweden’s extensive genealogy records! Legacy Tree Genealogists is a genealogy research firm with expertise in researching Swedish ancestors and ancestors from many other backgrounds. Founded in 2004, the company provides full-service genealogical research for clients worldwide, helping them discover their roots and personal history through records, narratives, and DNA. Learn how to start researching your Swedish ancestry on FamilySearch. 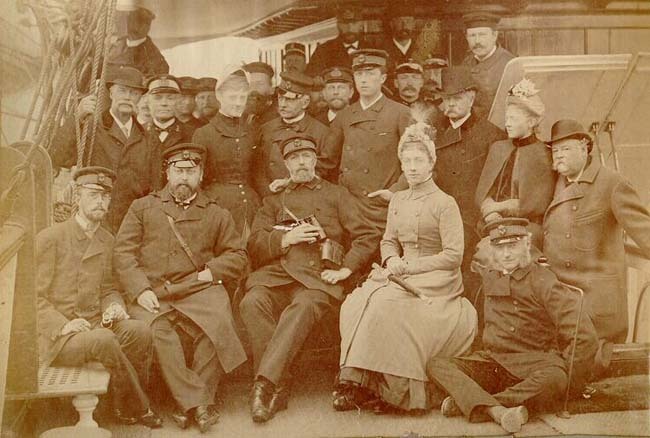 Learn about your Swedish ancestors and their lives in Sweden. Learn how to use Swedish parishes that date back as far as 1686. Connect with your Swedish ancestors by trying these Swedish dishes.